Since July of 2009 the GJB has performed monthly in Hamden at Aunt Chilada's, usually on the third Sunday of the month. Our next session will be from 6 until 8 PM on Sunday, May 19 with Fred Vigorito, Russ Whitman, Noel Kaletsky, Art Hovey, Joel Schiavone, Charlie Freeman on piano, Tom Artin on trombone, vocalist Cynthia Fabian, and Tom Palinko on drums. Known since 1993 as the best Mexican restaurant in the greater New Haven area, Aunt C's is located at 3931 Whitney Avenue, just a couple of miles north of Sleeping Giant in Hamden, beside the golf course. Seating is somewhat limited; please call 203-230-4640 to reserve a table or a seat at the bar. There is no cover charge, and no minimum. Click HERE for Jean Hadley's review of a recent session. 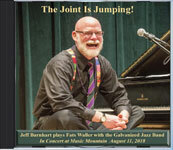 The Joint is Jumpin' (GJB 8/11/018) is a recording of our 27th annual concert at Music Mountain with special guests Jeff Barnhart and Craig Grant, featuring the music of Thomas "Fats" Waller. 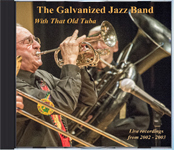 The concert was August 11, 2018, and the CD is now available. Click on the photo at the right for details. 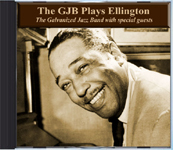 The GJB Plays Ellington (GJB 6/018) is a compilation CD of live recordings of the GJB performing works composed by or associated with "Duke" Ellington. Featured guests include Art Baron, Donn Trenner, Jimmy Mazzy, Bob Price, Skip Hughes, Tom Palinko, Tom Artin, and Gerard Carelli. Click on the photo at the right for details. 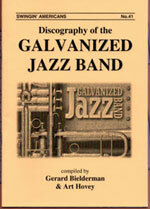 GJB 02-03 is another compilation CD of previously unissued material recorded live at the Chowderpot in Branford, CT back in 2002 and 2003, all utilizing the tuba. (This one compliments our Ellington CD, on which only the upright bass was used.) 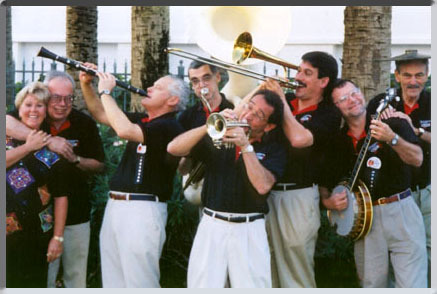 Regular members of the GJB on these recordings inlclude Fred Vigorito on cornet, Russ Whitman on clarinet and various saxophones, Bill Sinclair on piano, Art Hovey on the famous black tuba, Joel Schiavone on banjo, and Bob Bequillard on drums. Featured guests include Herb Gardner, Jim Fryer, Tom Artin, Craig Grant, Nick Carella, Gerard Carelli, and Bob Price. 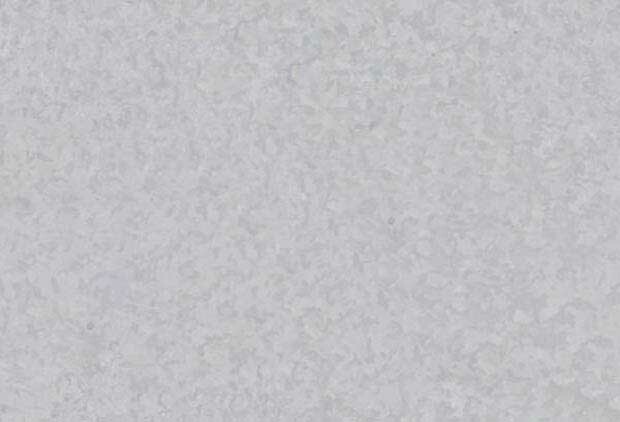 Click on the photo at the right for details. For more information about this and our many other recordings please visit the Recordings section of this website. Our YOUTH BANDS page has been updated; check it out! Marce Enright's New England Traditional Jazz website has undergone extensive revisions and improvements. Videos of many recent events are being added; be sure to check it out!